Only with the children it is considerably more frantic. We are “potty training” my son, so speed is of the essence. But I think that it has allowed me to correctly diagnose plantar fasciitis… flat, spade shaped feet, run for exercise… . The long and short of it is that I haven’t had the time to shower, shave, linger over the choice of pocket square and tie. Sure I can throw together something very quickly, but where’s the fun in that? Nope, I am instead, in mufti. Civilian clothes. “Casual” uniform, for me. Yesterday was a delightful mostly sunny and 60ºF; today promises 72ºF and sunny. Early morning errands see me with the sunroof open and windows down, especially when it is hovering in the 50’s. So, what to throw on when off-duty? We could do worse than emulate the Guards and those who found inspiration in them. But that would hardly qualify as casual wear. How does our Mr. 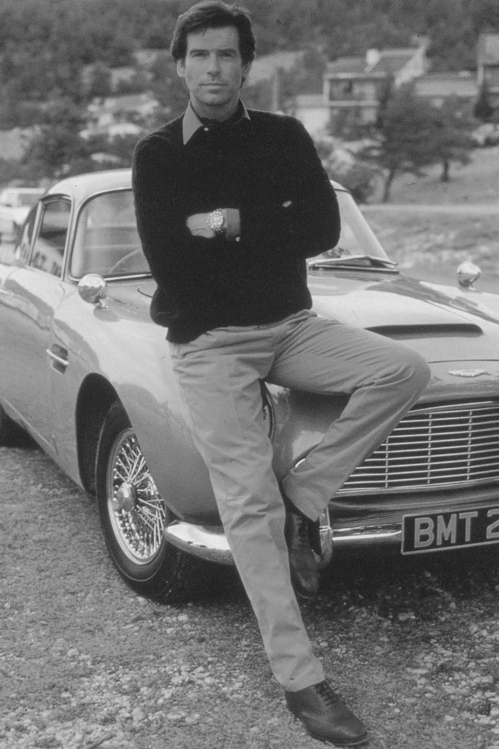 Bond, a former Naval Intelligence Officer, fare in “Goldfinger”? Well and good, you may say. But times have changed. All things are more casual today. All fine and fictional or old and outdated. Dressed casually is still to be dressed. 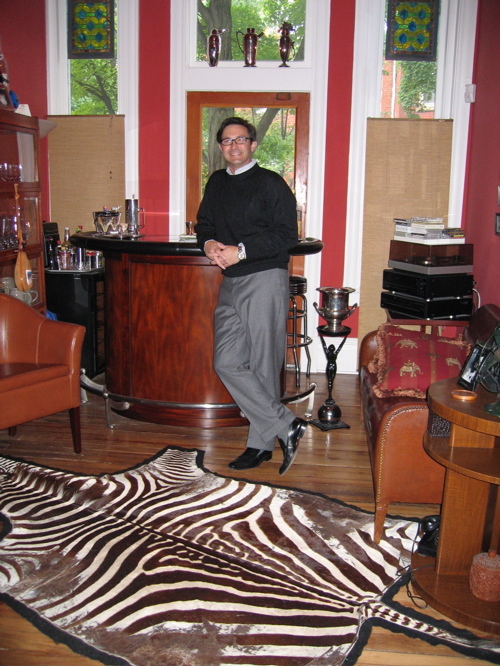 That’s a black silk cable knit sweater, a blue striped cotton shirt, grey flannel flat-front, side tabbed, MTM trousers, grey socks with a black pindot, and black Venetian loafers by R. Martegani. As it gets warmer, this gets more difficult. But we’ll work it out, together. What casual pieces do you rely upon? 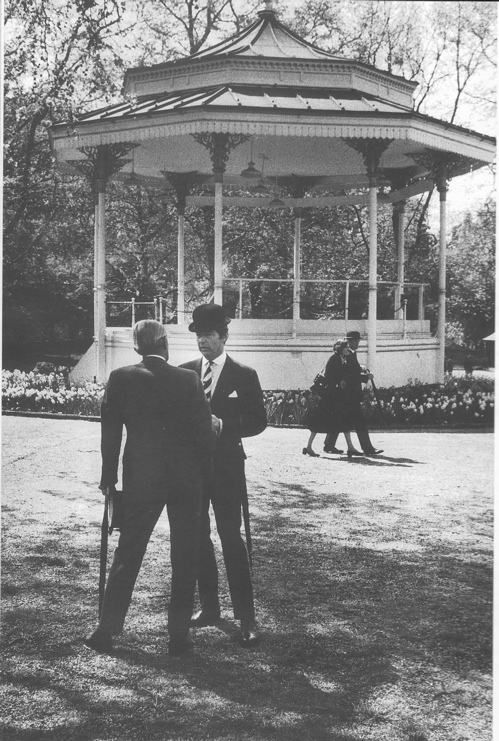 This entry was posted in Elegantology and tagged "Dressed to Kill", "GoldenEye", "Goldfinger", Bunny Rogers, Dolly Parton, Hyde Park, James Bond, Pierce Brosnan, Sean Connery. Bookmark the permalink. Funnily enough, today was one of those casual days. An unlined khaki linen suit with a pale yellow linen shirt and tan monks without socks. Amen to this! How civilized! The author has a great, classic look goin’ on. While all is obviously of fine quality, a close approximation of the outfit could be achieved on a budget. So lack of funds is not an excuse! Dressed casually does not mean polar fleece, shorts, sports logos, skull motifs, and souped up atheletic shoes. There comes a time when we all must wear grown up clothes. I say better early than late. I don’t understand why more people don’t aspire to such a look. I mean the guy looks clean, intelligent, educated, honest, and pleasant. I don’t know about you, but that’s how I want to be perceived. The bar is terrific, but I’m sure it looks even better by night. I’ll bet he makes a superb gin and tonic (but is thoughtful enough to have mineral water and juice for teetotalers)! I concur with Benedict. Unlined khaki linen sport coat. However, dark brown gabardine trousers (air conditioning, after all), brown brogues and the loudest damn pocket square I could find. Orange. These in-between days are so hard. It’s mid-May, yet the temps are still very chilly in the mornings, and here, not so much warmer in the days. Tried to transition from winter to summer in the wardrobe this weekend, only to have it cool off again. A scarf at the neck would have been a nice little addition. 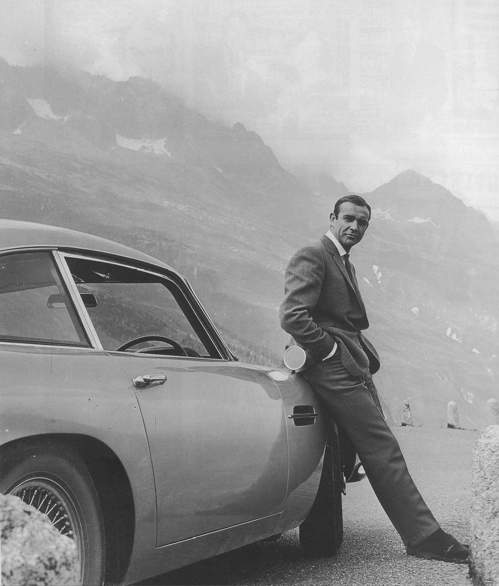 That photo of Bond (Sean Connery) leaning up against the roadster with the Swiss Alps (?) in the background is about the coolest thing I have ever seen. What a fine moment in history. But what are chukka boots and how did they get their name? Casual, yet dressed… Hmm. As an easyelegantlifer who is more on the boho/casual side, I put forth my pennies with the full knowledge that I may just be a natty lowlife, with no sartorial taste. You don’t have to dress like James Bond if the plumber is coming by. Those are pictures of him by his car in exotic locales.. If it’s just the plumber, I would go for a 501 jean with a Ralph Lauren striped button up shirt, white slip on driving shoes, and a web belt. The whole point of pretension and elegance is to be just one or two steps above the audience.. Any more and it’s a bit overplayed, which is always bad form!! David V, I had one on, but was still perspiring from a run. Didn’t want to ruin the silk, so off it came. Turling, I’m a huge fan of the orange pocket square. As was Frank Sinatra. P-D, it’s always about layering, isn’t it? I’m mid-way through the closet switch. Really just trousers that are put up higher…. I recently discovered your blog and enjoy reading it. Thank you. I define elegance as an sense of being others can see and feel, rather than a particular look or set of mannerisms. What I love most about your off-duty ensemble is how you look elegantly comfortable. The silk sweater and grey trousers (thank goodness they are flat front! much more flattering!) would not be elegant choices for a man who didn’t feel comfortable wearing these pieces in an off-duty sense. However, you look both comfortable and elegant which means they are truly the right fit for you. When I think of elegant, off-duty pieces a man can quickly grab (as the toddler is running out the door or the repairman is walking in), I think of timeless pants that can go with everything (premium denim or grey slacks), amazing shoes (it’s all about the accessories) and a classic sweater (cashmere, half zip by Armani is divine) you can quickly pull over your head so you don’t need to waste time threading a belt or buttoning every button. As a mother of three, I guess I am a realist and practical. Looking forward to your next article. Welcome Ms. Bruckner, you are entirely correct in your definition of elegance. It is an elusive quality. 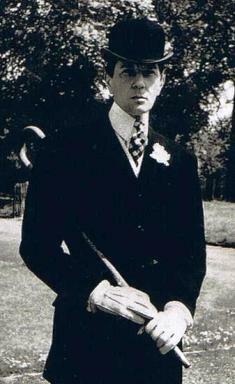 That said, I feel that most need a bit of help projecting an inner elegance. Mine are suggestions taken strictly from the way I live my life. Choosing classic clothing and having it rigorously tailored to fit, loading your wardrobe with nothing but, is a great first step to developing that “natural rhythm” of which Aesthete speaks; it lets you relax your eternal vigilance. I’m looking forward to having you join in the conversation! I like your mission and look forward to perusing your site!